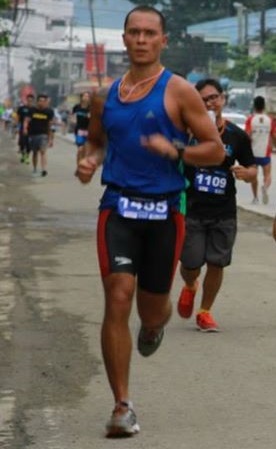 More than half a year after my last post here and my last half marathon in Cebu, I joined Hunat Sugbu 4 yesterday. I had not really planned to join that event – I just found out about it a few days ago and signed up for the 21 km run last Friday. 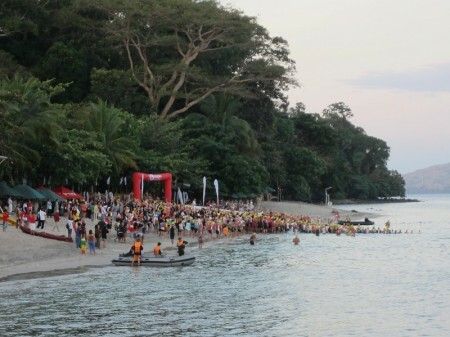 After the Hunat Sugbu triathlon in Oslob last October, that was my second race organized by them and I really enjoyed it. Unlike last time, I found the site right away: the Parkmall in Mandaue. After waking up at 2:45 AM, I had a short breakfast and an encounter with one of the rats that were keeping us awake during the last nights. My housekeeper and I were hunting it a little bit in the kitchen and had a rather unusual warm-up for the race. I enjoyed the bike ride in empty streets to the Parkmall which is about 13.5 km away from our house in Cordova and found hundreds of competitors doing Zumba. I did not join them but I was a bit fascinated by watching that crowd dancing in the rhythm. Point 4:30 AM the gun-start sent us through the streets of Cebu. I had no idea about how fast I could run this time. 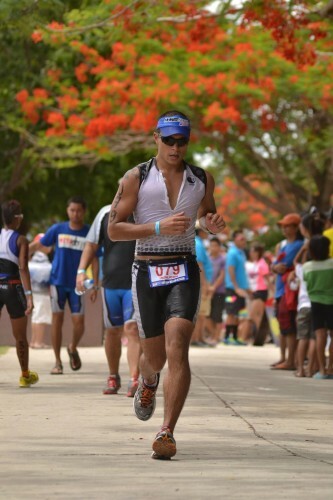 After my two big triathlons at the Challenge Philippines in February and the Defy 123 Triathlon four weeks ago, I had the feeling that my run was getting better again but I was still not as fast as one year ago when I ran my personal best in a half marathon. My left Achilles tendon was causing trouble for several months and I did not want to make it worse by running too fast and too much. A lot of stretching and running shoes with less cushion helped a lot so that I did not feel any pain anymore just before my first half ironman at Challenge Philippines. Since then I did only very occasional speed training but many shorter runs in between (thx to my girlfriend Bea for running with me in the morning and being so supportive!). At Hunat Sugbu 4 yesterday, I had a slow start as usual with hundreds of other runners in front of me. It took about 2 kilometers until I was able to run my speed and overtake most competitors in front of me. 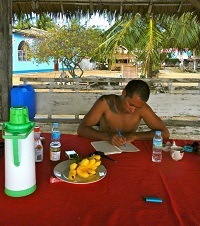 The weather was cool and I was thankful for a drinking station after almost every single kilometer. Close to the turning point in Talamban I was counting the runners on their way back and figured out to be on place 20 after 11 kilometers. My initial goal was to run the 21,1 km in about 1:45 to 1:50 hours but I found myself running considerably faster. During the last 9 kms I was doing the math but decided to not run faster only to beat my own personal best time; I was happy to run about 4:30 to 4:40 min per km and was surprised that I could easily hold that speed. In the end I finished the half marathon in 1:41:25 on 13th place. That makes me feel very confident for the next races on the way to Ironman Melbourne in 9 months on March 22, 2015. I might join a triathlon in Königsbrunn close to my home village in Bavaria on July 13 and the Ironman 70.3 European Championship in Wiesbaden on August 10 this year to stay fit and prepare for the 3.8 km swim, 180 km bike and 42.2 km run at my first full distance Ironman in Australia.